1. August 2015. Bilbao has a decent number of attractions to hold its own with neighboring cities across northern Spain. And yet one of the great joys of a trip here is simply wandering the pretty streets. Bidebarrieta Street is typical of the Bilbao vibe: a long, narrow pedestrianized zone where buskers and street artists perform in between the cafes, tapas joints, bakeries and craft stores. Yes, that is a white-robed Jesus nailed to a cross staggering about in the background. 2. August 2015. There’s a bunch of beautiful churches scattered around Bilbao, but Santiago Cathedral has bragging rights as the city’s oldest. It dates back to 1379 when it was built on the site of an old shrine. Entrance is a negligible 3 Euros and it’s open from Tuesday to Saturday from 10:00-13:30 & 16:00-19:00. If you’re not bothered about going inside, it’s nice to grab a coffee on the square right against the church walls and take in the view. 3. August 2015. 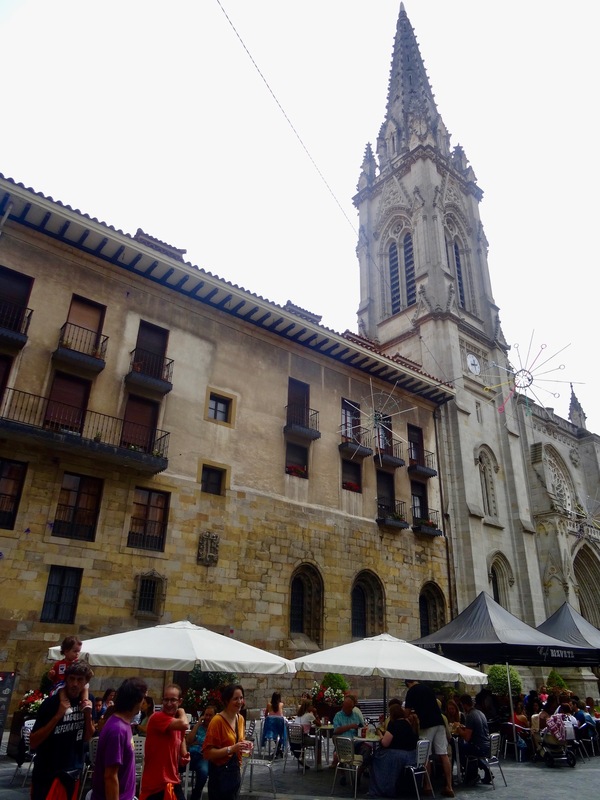 I loved stopping to admire all the tiny tapas joints and shed-sized pubs all over Bilbao. Many of them have distinctive graffiti on their shutters, doors and windows; such as this football-themed bar near the main bus terminal. 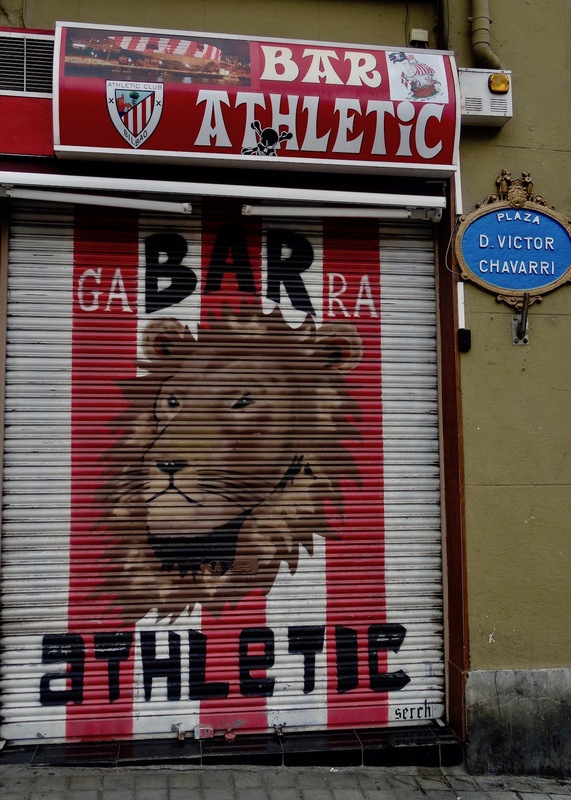 It was match day in Bilbao so Bar Athletic had shut down after lunch so everyone could head off to San Mames Stadium to see Athletic Bilbao play Barcelona. 4. August 2015. One eatery I did manage to get into was Baden Baden Café, where much to my delight the coffee was milkier than in most Spanish joints. 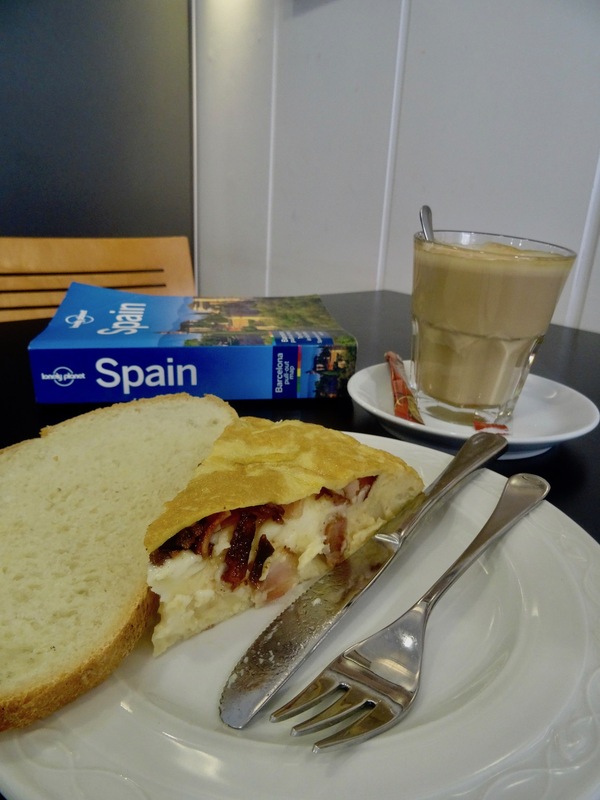 The doorstep of bacon, egg, onion and potato tortilla meanwhile went down a treat too. The staff doesn’t speak English but all their tapas dishes are displayed at the bar, so you can just smile and point. 5. August 2015. Bilbao is yet another fantastic street art city, with some of the highlights concentrated in the area in and around The Guggenheim Museum. 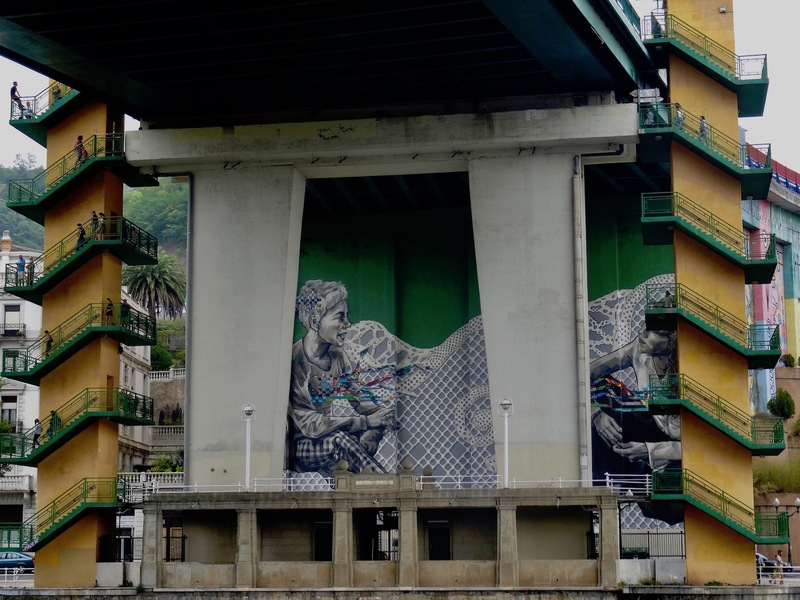 Check out the nearby La Salve Bridge, where this colorful lady holds court over the Nervión River. The mural was painted by the American artist Veronica Werckmeister, along with a number of local volunteers. 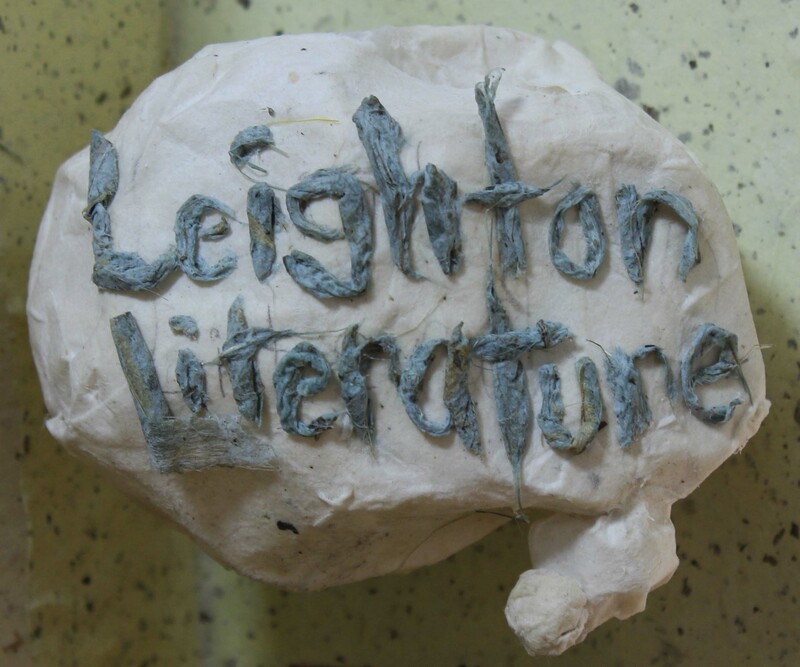 Want to delve further afield? I’ve written stacks of My 5s from all around Spain.